Spin Welding Joint Design is critical for a proper spin weld. Spin welding is used to join two plastic parts which are spherical or cylindrical in shape. 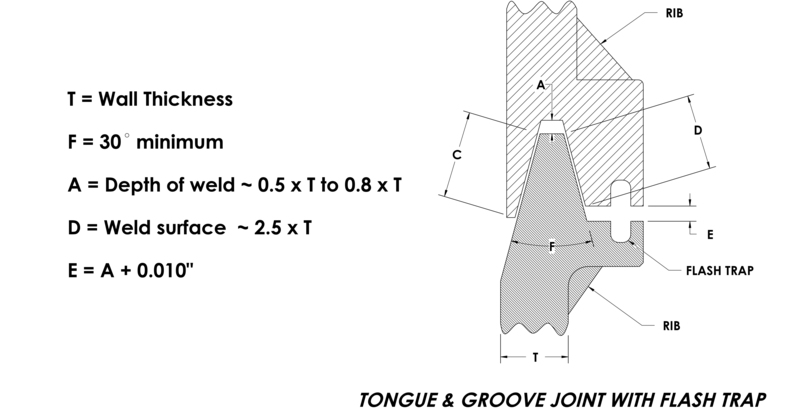 Frictional heat is generated at the mating surface (joint) by spinning one part (upper) against a fixtured (lower) part, thus welding the assembly together. Spin welding is a fast process that works well with large and small diameter parts as well as a broad range of thermoplastic resins. When spin welding there is a fixtured part as well as a driven part. The base part needs to be supported and aligned during the spin welding process. While the driven part can be loaded into the upper drive head or loaded on top of the fixtured part. Fixtured parts do not require any key features for the spin welding process. Driven parts will require “drive lugs” , these lugs allow the spin welding head something to spin the part with. 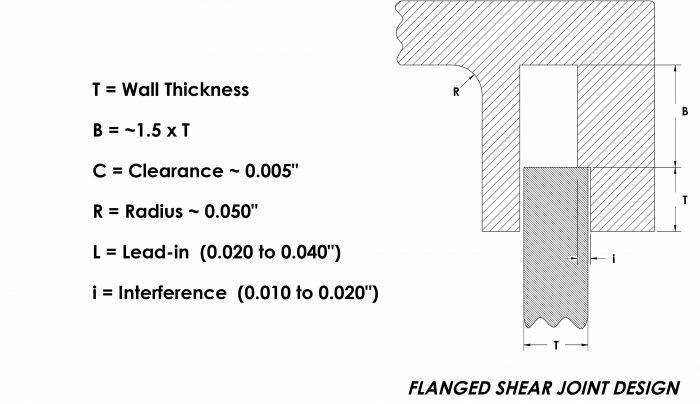 Common features include, Pins, Holes, Indents, Lugs, and recesses. 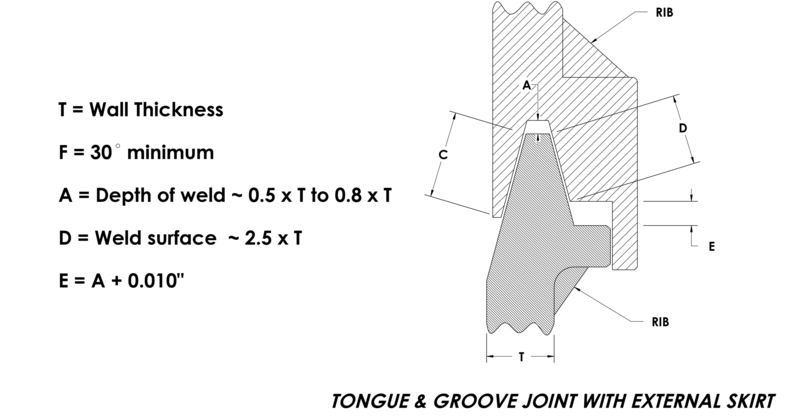 Parts can be aligned to each other +/- one degree, depending on the machine doing the welding. 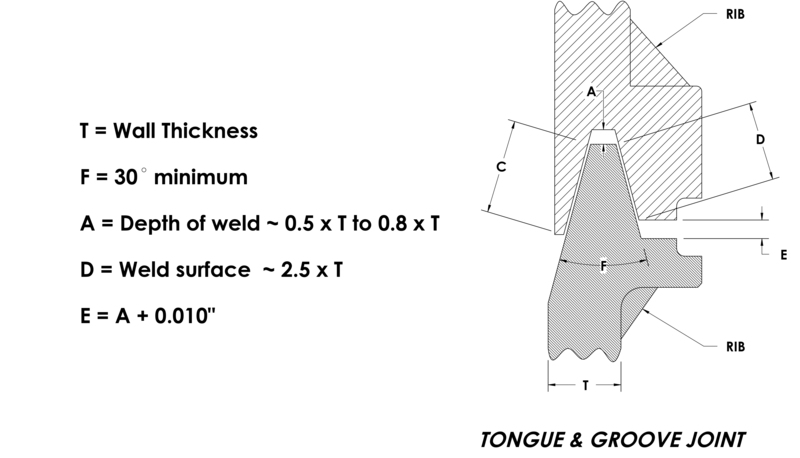 Spin welding is a very aggressive process capable of welding materials that other processes like sonic welding would have a hard time welding. 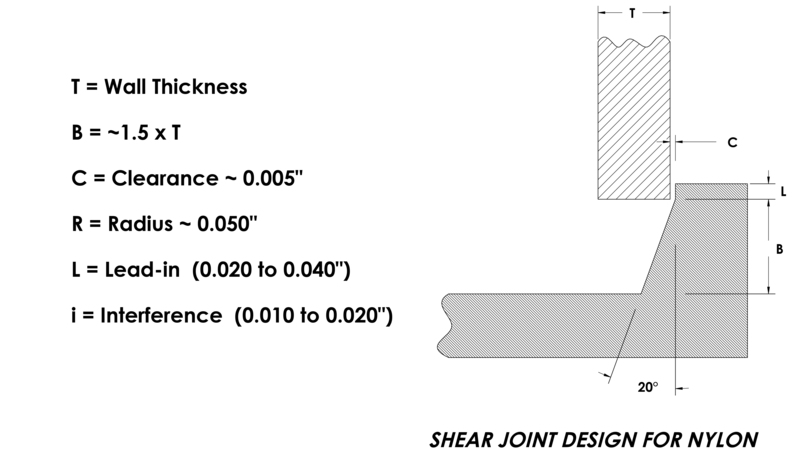 Utilizing spin welding hermetic seals can be obtained fairly easily and will provide repeatable robust part welding joints. 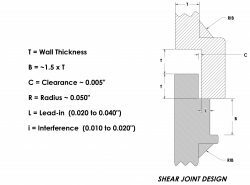 Some key part design features are, having the welding area of the two parts being equal or greater to the wall thickness of the parts and having a proper part joint design. Both parts must be concentric and must maintain there shape after the molding process to obtain a even spin weld. Parts that are out of round will result in excess flash being generated in those locations that are out of round. With applications that require a finish with minimal flash, the flash can be designed to go to specific location, that is not visible after the welding process is complete. This key design element is called a “Flash Trap”.